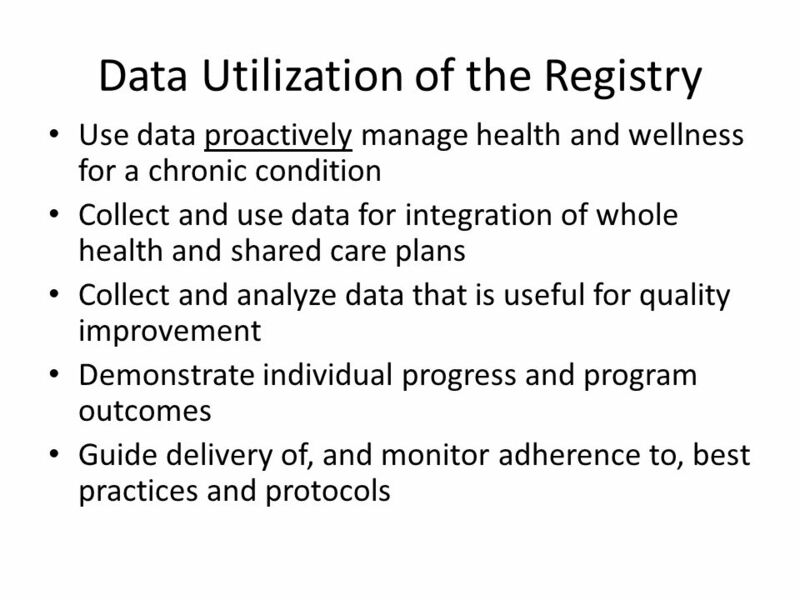 Use of a Registry for Chronic Disease Management in a Small County Behavioral Health Setting Karen Stockton, Ph.D., M.S.W., B.S.N. 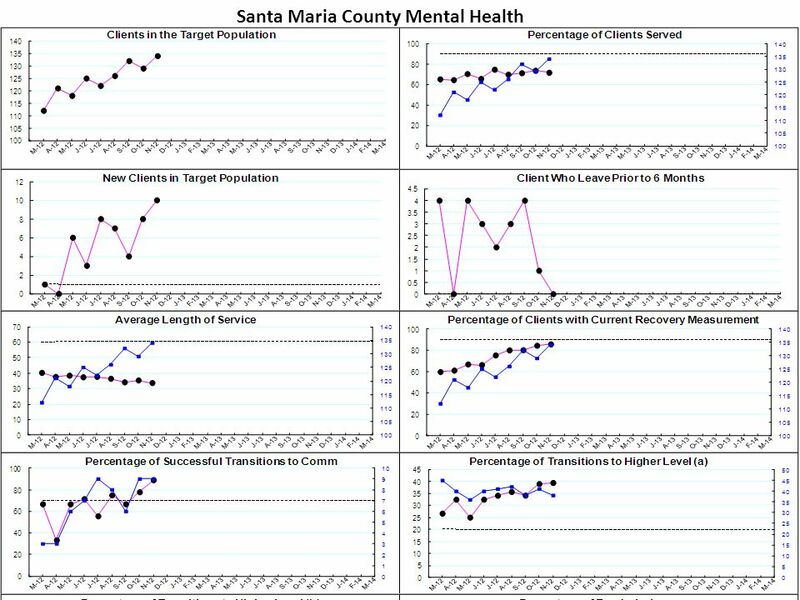 Health Services / Behavioral. 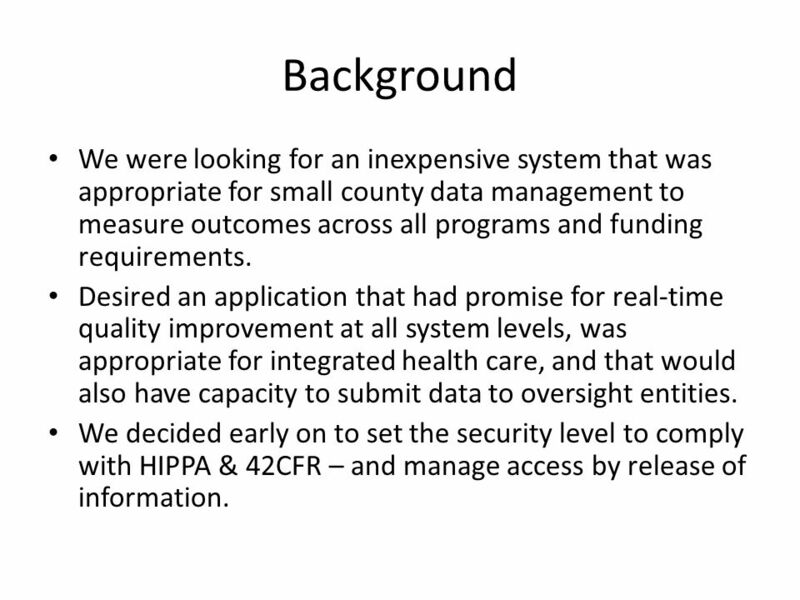 3 Background We were looking for an inexpensive system that was appropriate for small county data management to measure outcomes across all programs and funding requirements. 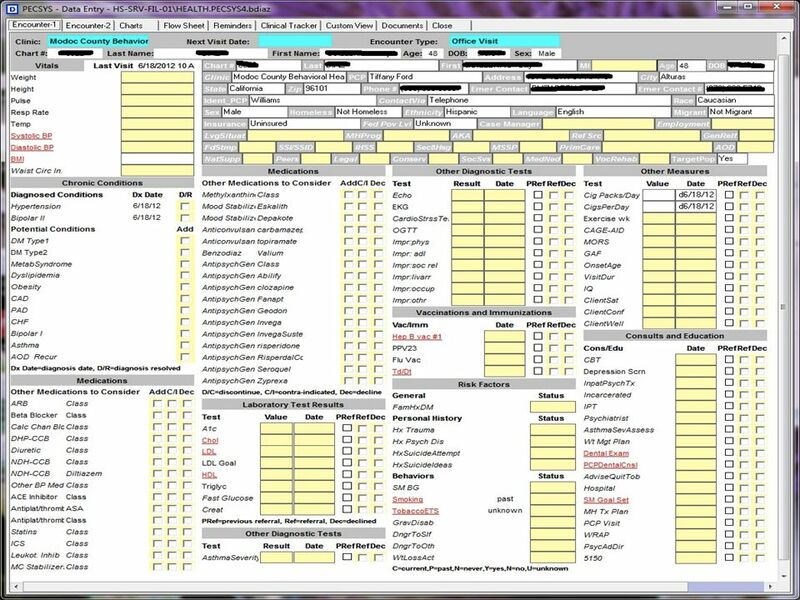 Desired an application that had promise for real-time quality improvement at all system levels, was appropriate for integrated health care, and that would also have capacity to submit data to oversight entities. 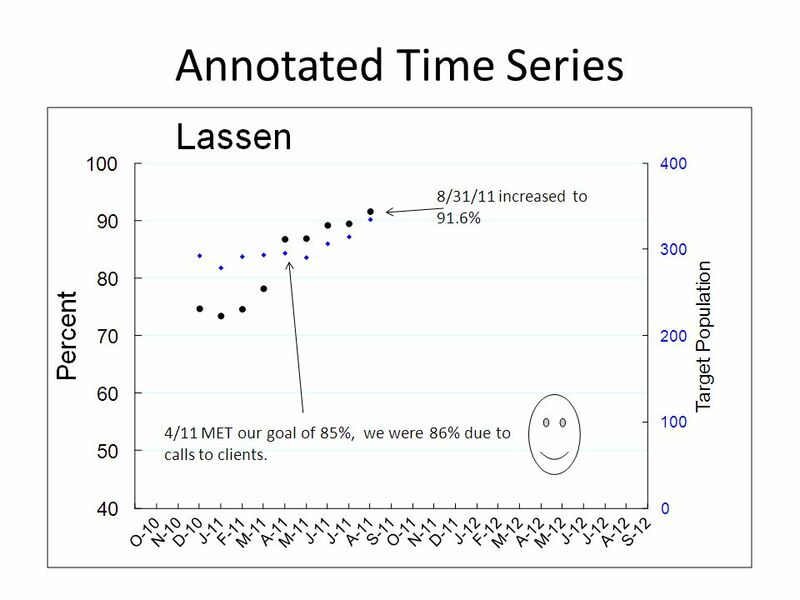 We decided early on to set the security level to comply with HIPPA & 42CFR – and manage access by release of information. 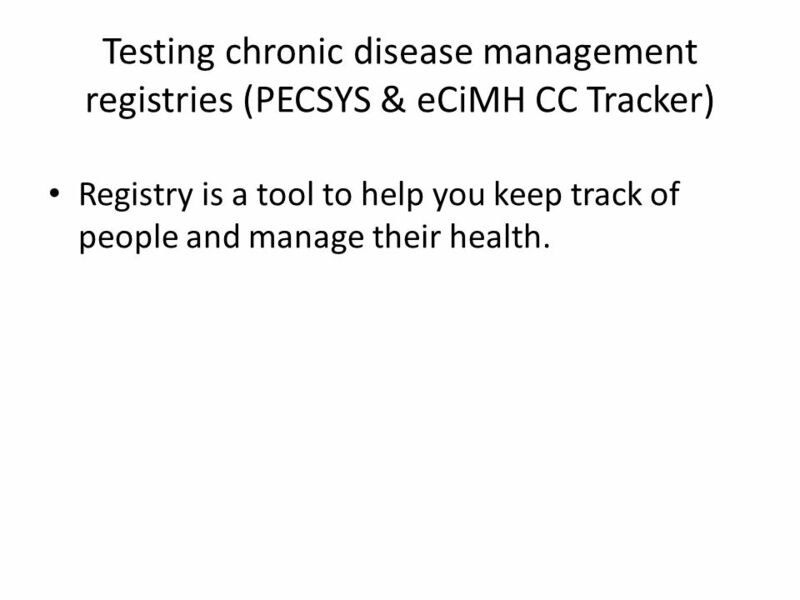 6 Testing chronic disease management registries (PECSYS & eCiMH CC Tracker) Registry is a tool to help you keep track of people and manage their health. 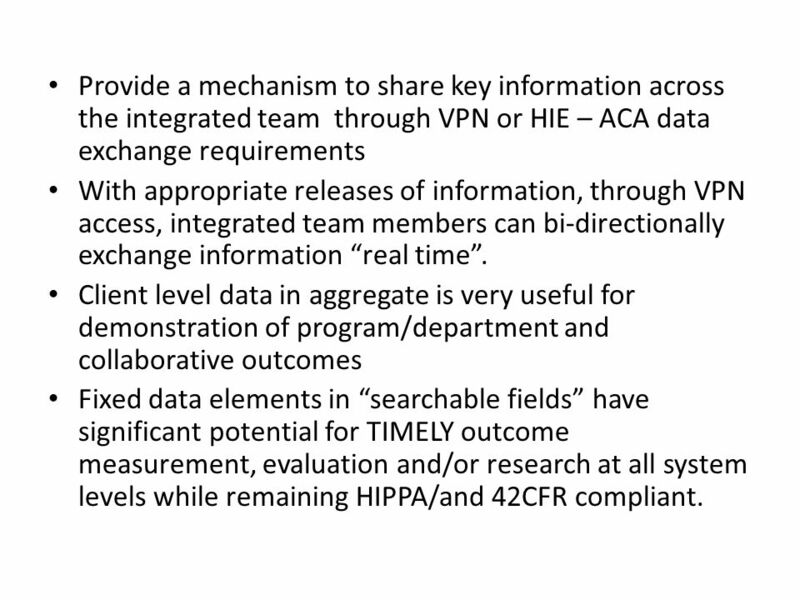 16 Provide a mechanism to share key information across the integrated team through VPN or HIE – ACA data exchange requirements With appropriate releases of information, through VPN access, integrated team members can bi-directionally exchange information “real time”. 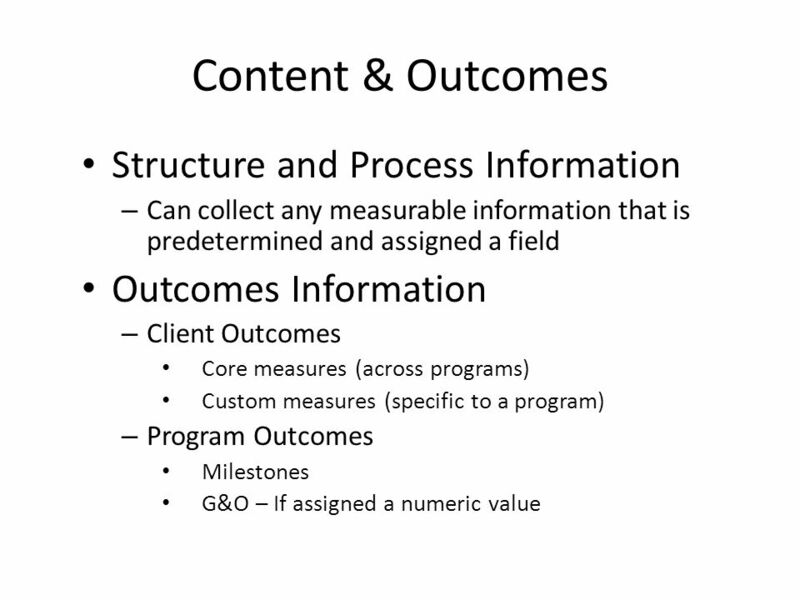 Client level data in aggregate is very useful for demonstration of program/department and collaborative outcomes Fixed data elements in “searchable fields” have significant potential for TIMELY outcome measurement, evaluation and/or research at all system levels while remaining HIPPA/and 42CFR compliant. 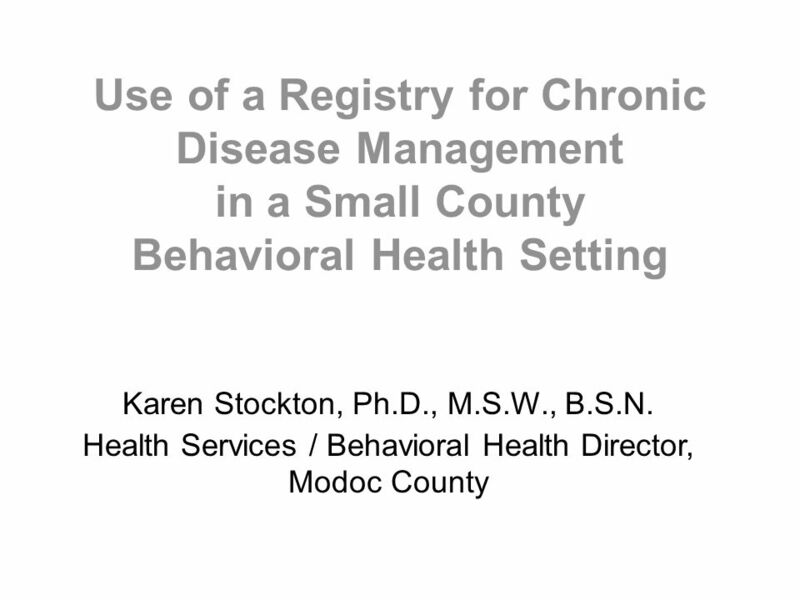 Download ppt "Use of a Registry for Chronic Disease Management in a Small County Behavioral Health Setting Karen Stockton, Ph.D., M.S.W., B.S.N. 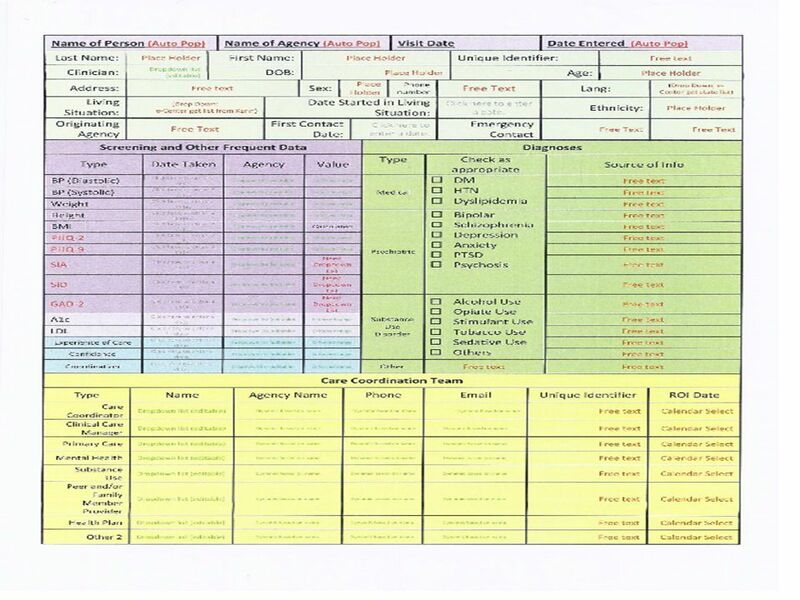 Health Services / Behavioral." Planning, Using, and Adapting County Data Systems CalMHSA PEI TTACB Work Group March 5, 2014 Facilitated by RAND and SRI Planning, Using, and Adapting. Organization of Diabetes Care Chapter 6 Maureen Clement, Betty Harvey, Doreen M Rabi, Robert S Roscoe, Diana Sherifali Canadian Diabetes Association 2013. 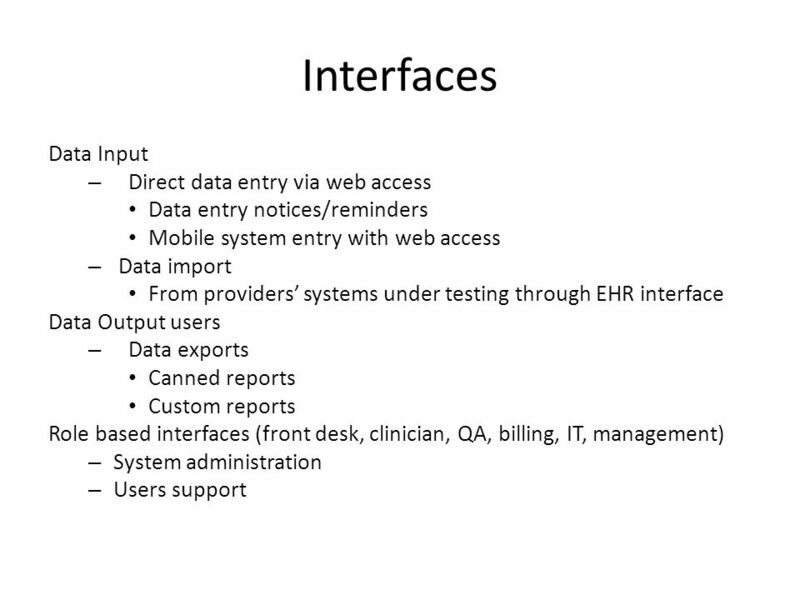 Care Coordination in the Patient-Centered Medical Home New York Academy of Medicine May 24, 2011. 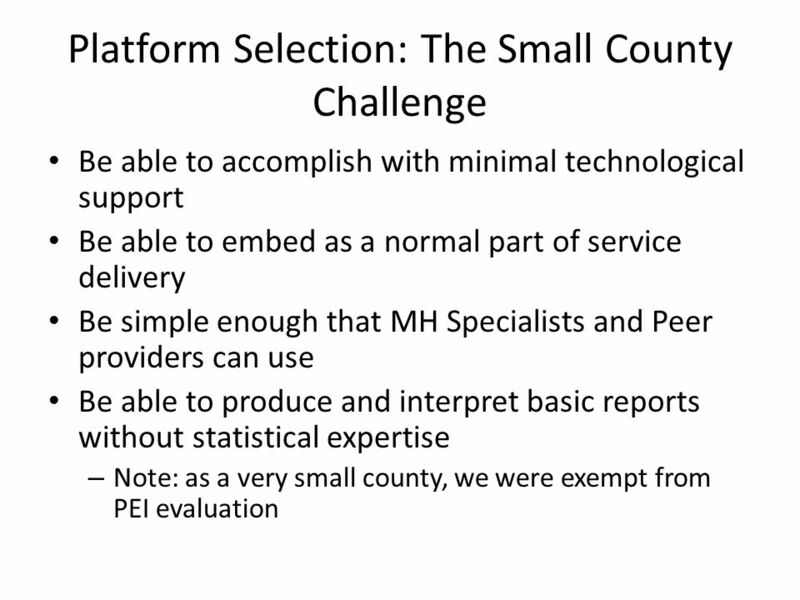 HEALTH HOMES HEALTH HOMES TECHNOLOGY SIMULATION WORKSHOP Ron HendlerNish Thakker. 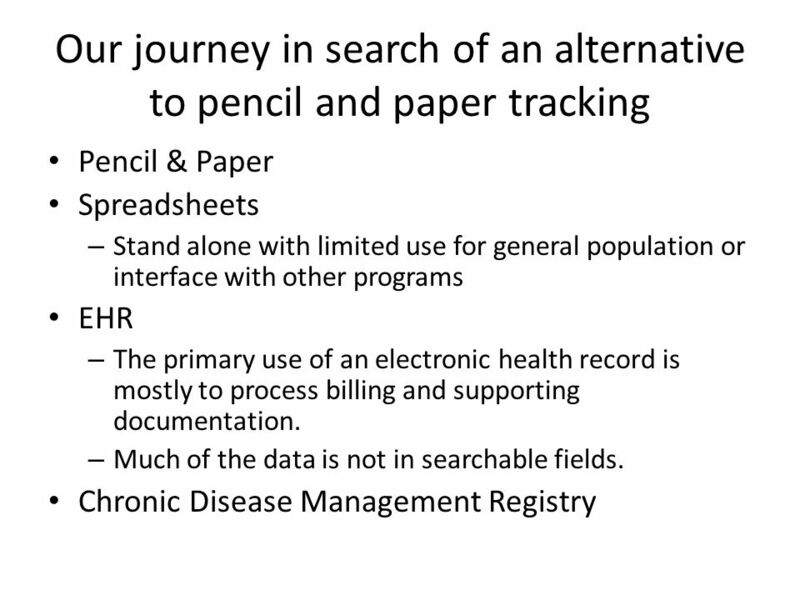 Local Health Department Perspective Electronic Medical Record Software and Health Information Exchanges Kathleen Cook Information & Fiscal Manager, Lincoln-Lancaster. 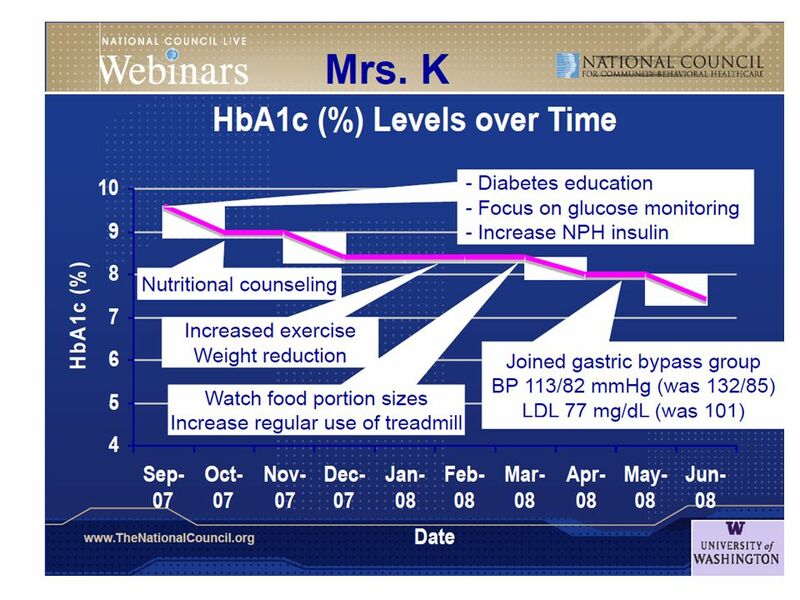 99.98% of the time patients are on their own “The diabetes self-management regimen is one of the most challenging of any for chronic illness.” 0.02% of. 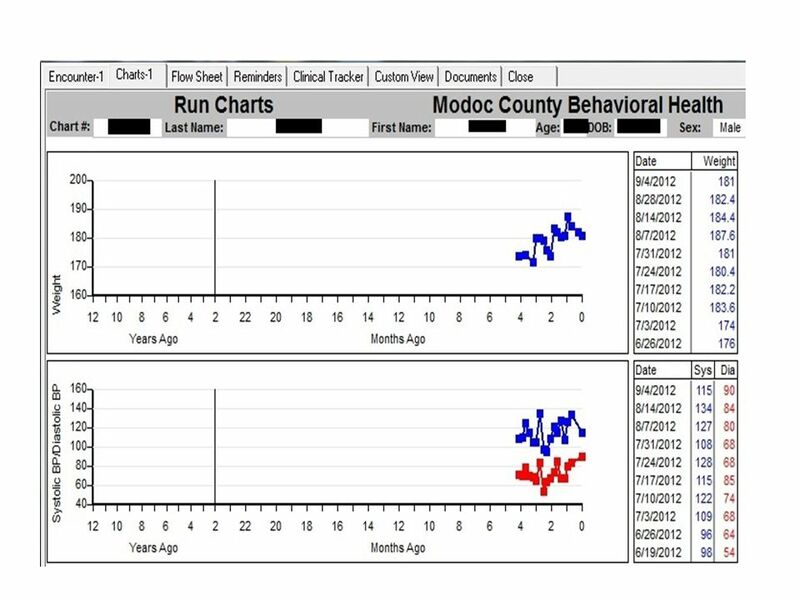 ADVANCED BEHAVIORAL HEALTH, INC. The Hartford Youth Project Samuel Moy, Ph.D. Robyn Anderson, LPC, LADC. Information for OHIT conference Priscilla Moschella, BS, CSW. 1 Open Door Family Medical Centers Care Coordination and Information Exchange Presentation October 2010. TRANSFORMING HEALTH CARE THROUGH RESEARCH AND EDUCATION 2012 Illinois Performance Excellence Bronze Award Integrating Behavioral Health Across the Continuum. 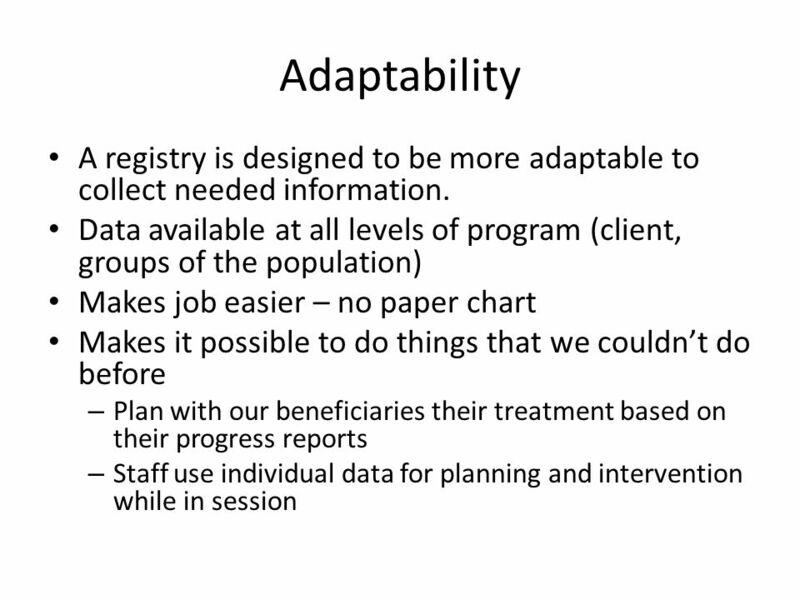 System Changes and Interventions: Registry as a Clinical Practice Tool Mike Hindmarsh Improving Chronic Illness Care, a national program of the Robert.